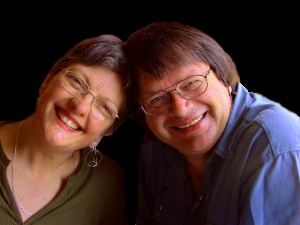 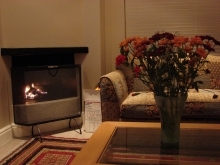 Johan and Gwen Hugo look forward to welcoming you to their guest house where you will enjoy hearty South African hospitality at its best. 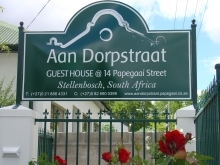 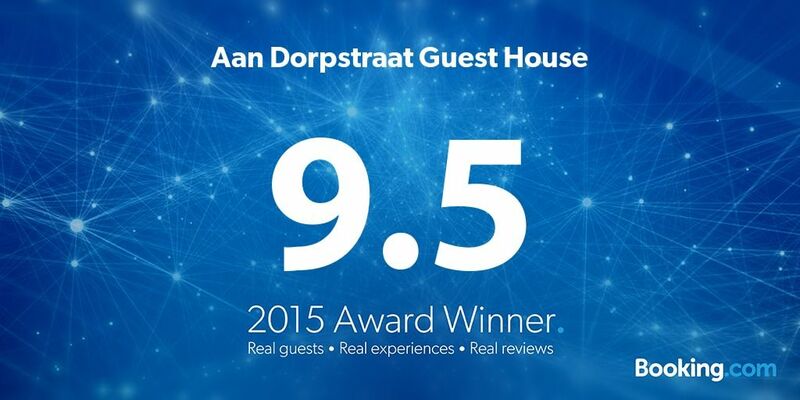 Built in 1928 and recently restored to provide up-market, very comfortable bed and breakfast accommodation for the discerning tourist and corporate traveller, Aan Dorpstraat Guest House offers great comfort and excellent quality with many added luxuries to her guests. 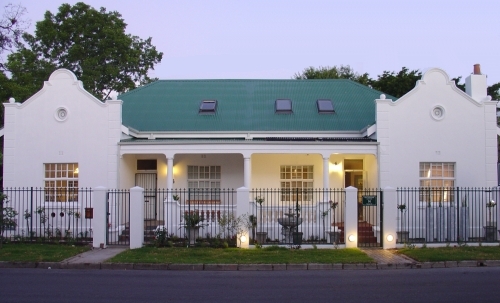 Aan Dorpstraat Guest House is centrally located in Stellenbosch, a picturesque town in the heart of the Western Cape winelands, adjacent to Dorp Street the oldest street in Stellenbosch, and within 2 minutes’ walking distance of several good restaurants, and within 5 to 10 minutes walking distance from the business and shopping centre, the Stellenbosch Tourist Information Centre and many tourist attractions. 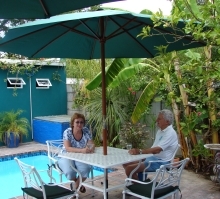 We are located a mere 300 metres from the well-known Oom Samie se Winkel. 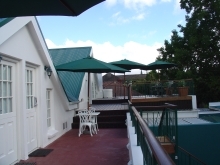 A short drive will take you to the beach, golf course, wine farms and many of the attractive places located in the Western Cape.